Letting your customers know where you are located is the key element for an online business company conducting online networking. The ideal way of doing that is to utilize Google interactive Maps that are reliable and concisely perfect. It helps your customers to find your exact location with proper driving direction and other essential information. Recently, one of our users asked us How to Embed Google Maps in Blogger so that he can easily give a precise idea to his customer about his location? 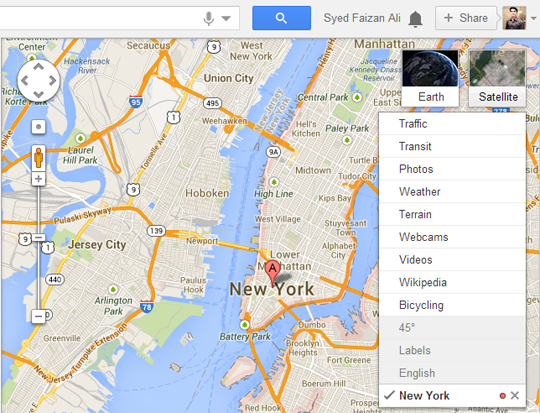 In this article, we will show you How to Embed Google Maps in Blogger. Why to use Google Maps? There are many companies like Bing and Yahoo that provides you a feature to embed Maps on your website, but they are not flexible or robust enough to support a lot of things. Where as Google Maps has a lot of quality features. Satellite View: It provides you two options of display either the simple map or a satellite view. However, both technologies are impressive at their own perspective. It gives you High resolution aerial or satellite images from urban areas all over the world. Directions: They provide a flexible route planner which provides direction depending upon the area. No matter you are walking, bicycling, and driving it provides extremely accurate direction. Extensibility and customization: It provides a lot of customization options so that users can easily get their personalized location in just a few clicks. With “My Places” option, you can even bookmark your location. The first thing you need to do is to go to https://maps.google.com/, and enter your location in the location searcher present at the top of the webpage. For example, I am located in Newyork so I would type “My Local area, Newyork” in the search bar to ensure my correct location. You can add more details like the name of your area, building number, floor number and all that kind of mumbo jumbo details stuff. After entering your location, you will be able to see an interactive preview of the map. Now from here you can decide whether you want to use the simple or satellite view map. More oftenly, people recommend satellite view because it is far more comprehensive and flexible. You can also add additional things like weather, traffic and more cool stuff. First make sure that the location you want to embed is correctly appearing in the current map display. Now press the link button which somewhat looks like this at the top of the left panel. A small box will appear which you provide your embed code as well as the direct link to your location. Just copy the embedded code and paste it where ever you want to show the map either in your about us page, posts or even sidebar. Congratulations: Now go to Blogger.com >> Add a new Page >> Select HTML Tab and paste the embed code that you copied a few moments ago. Once everything is done, simply press the “Save” button and Google Maps are ready, and good to be live on your website. 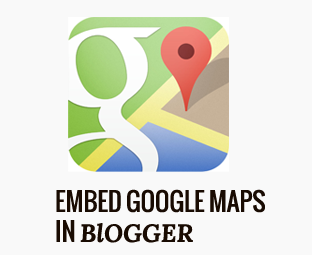 We hope this article has helped you in understanding, How to Embed Google Maps in Blogger. We have been using Google Maps for a while now,and they are just amazing. What are your thoughts about embedding Google Maps in your website? Let us know about your experience with Google Maps in the comments below. I would like to know how to do this with the NEW Google Maps there is no HTML link icon on that screen & I use this feature DAILY. I need to embed a preview of the new Maps on my company website to let my employees know where to go & I cannot figure out how to do this with the new Google Maps so for now I am sticking to the old one...I hope they fix this feature before they officially roll out the new version it would be very frustrating for my company and workers to loose this! it's hidden at the right bottom on your screen. first. right click at your coordinate, then choose between destination/departure. second. click "gear" image at right corner bottom at your screen, and click "share and embed map". changes the tab to embed map, and copy that link. it's looks like "<iframe blablablabla asu jancok pantek edan pukimak 00198927xxxxx"
Sorry but I dont know what I'm doing wrong here. In the end I used the embed key from http://www.embedgooglemap.co.uk/ , nothing else seemed to work as it was giving me an "API Key error". Even though it was fully registered and correct.